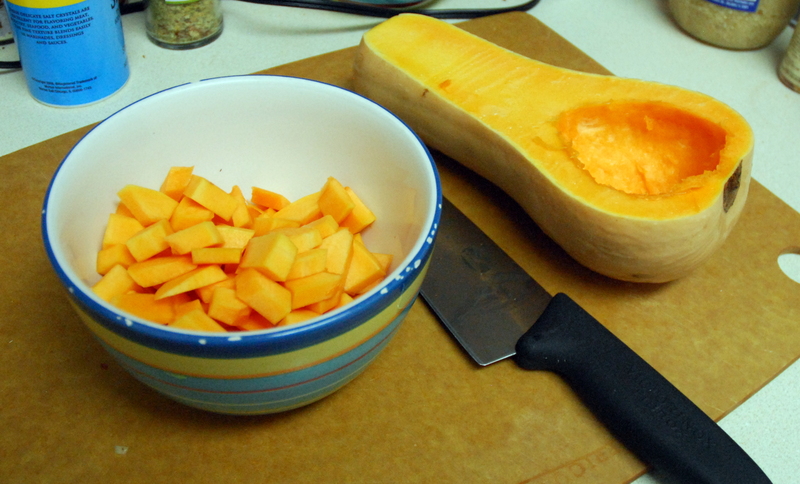 As promised, below you’ll find out how to make delicious and nutritious sweet and sour squash. 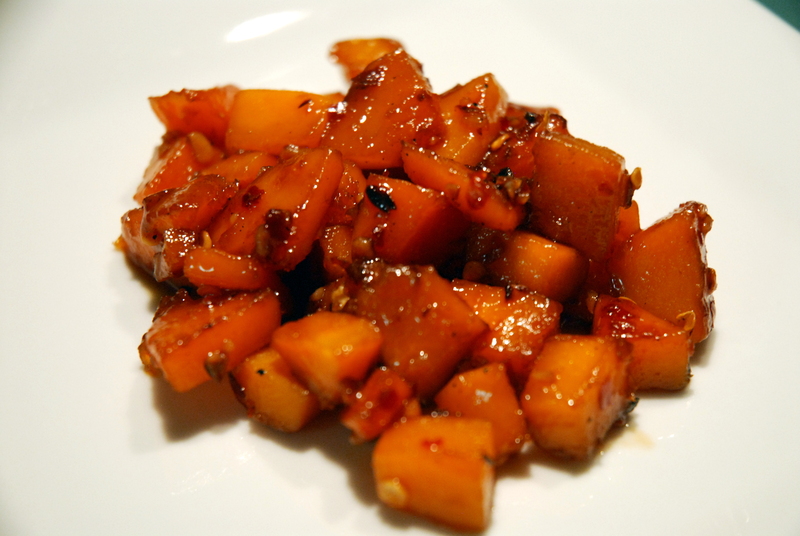 Peel and chop your squash into 1 inch cubes. 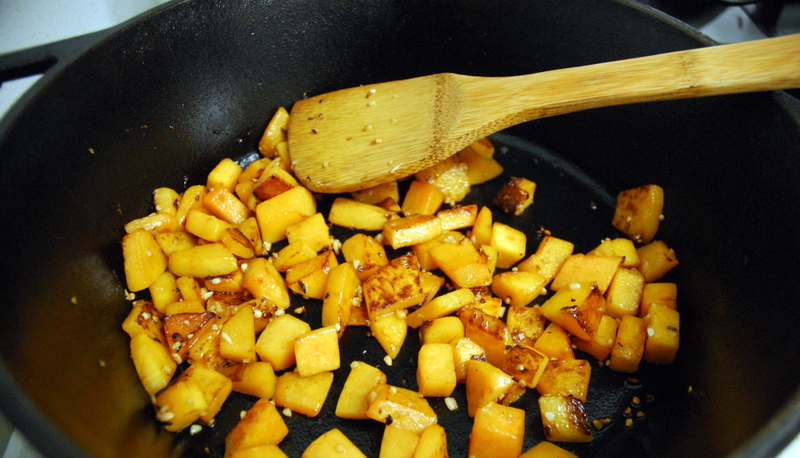 Cook squash over medium high heat until golden brown. Add garlic for last minute. Add sauce and cook for 10 minutes on medium low heat until it looks like the above picture. 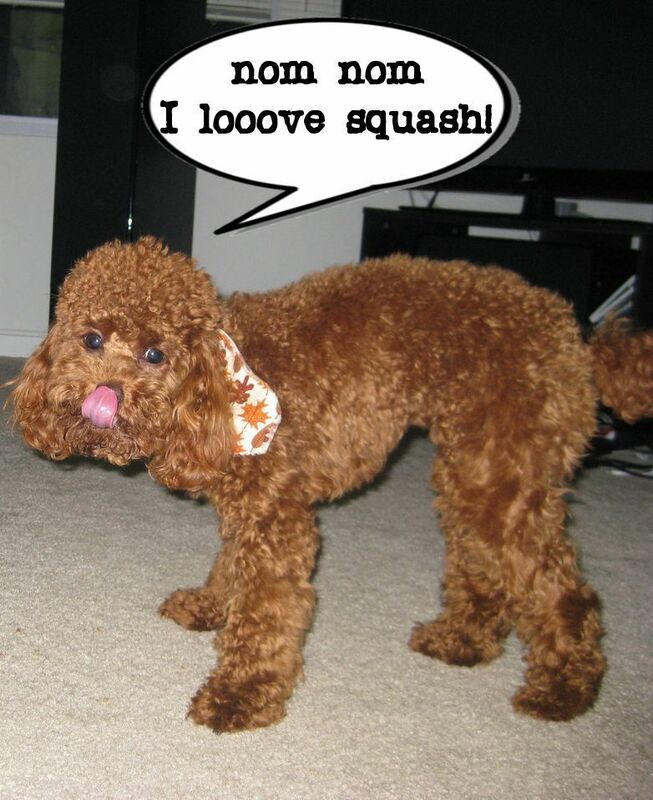 1) Cut butternut squash into 1 inch cubes. 2) Mix together red wine vinegar, honey, and red pepper flakes in a small bowl. 3) Heat olive oil on pan to medium high heat. 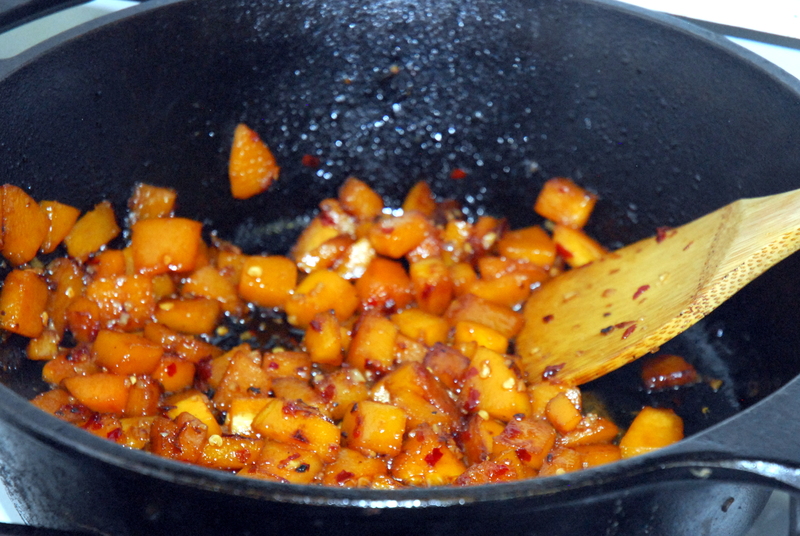 4) Add squash and cook until golden brown (about 5 minutes), stirring occasionally with wooden spoon to prevent burning. 5) Add garlic to pan and cook for an additional minute. 6) Add sauce to pan and bring to a boil. 7) Reduce heat to medium low and cook for another 10 minutes, stirring occasionally, until sauce forms a sticky glaze and squash is tender and caramelized. 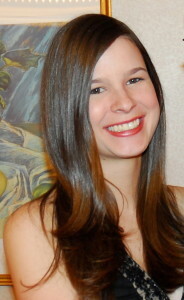 This entry was posted in Recipes and tagged asian, side dish, squash. Bookmark the permalink.